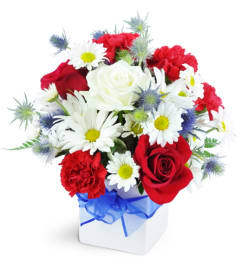 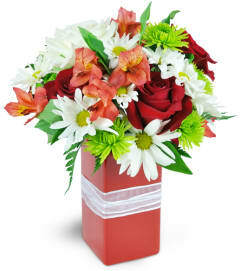 High Styling is on-trend and ready to wow your special recipient with its mix of bold and beautiful blooms! 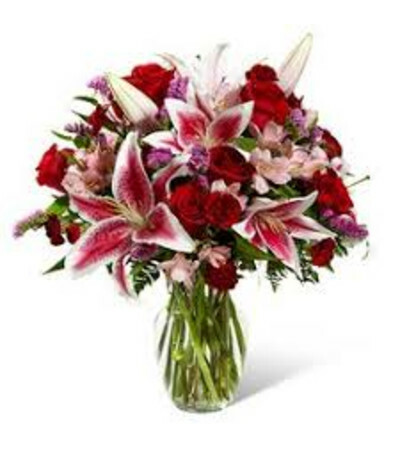 Rich red roses, Stargazer Lilies, pink Peruvian Lilies, burgundy mini carnations, pink statice, and lush greens are arranged to perfection by our floral designers to create a gift of flowers that is set to impress. 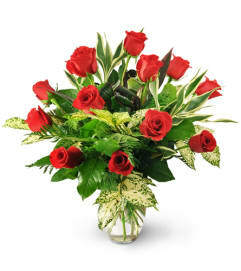 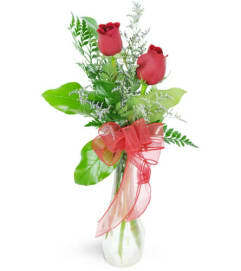 Presented in a glass vase, this fresh flower bouquet is a wonderful way to express your happy anniversary, happy birthday, or thinking of you wishes.